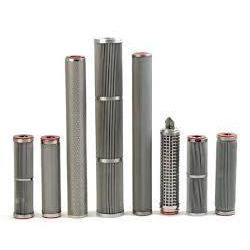 Pioneers in the industry, we offer stainless steel filter cartridge, pleated filter cartridges and stainless steel filter cartridges from India. With the assistance of our talented team of professionals, we are providing a high-quality range of Stainless Steel Filter Cartridge. The provided cartridges offer very high-temperature resistance and can withstand high differential pressure. Fabricated using high-grade stainless steel; these cartridges are known for their non-corrosive nature and high durability. Designed with utmost precision; the offered product is made in compliance with the latest industrial standards. Moreover, customers can avail this at rock bottom price. Owing to our expertise and immense knowledge in the field, we are instrumental in offering a comprehensive array Pleated Filter Cartridges. 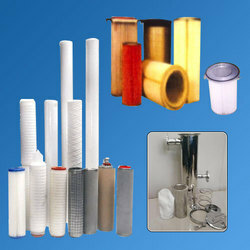 The provided cartridges are widely used in the dust collection application in various industries. These cartridges come with multi-layer filters which help in achieving consistent filtration where the main filter traps contaminants in different depths so as to provide large dirt holding capacity. The product goes through the stringent quality check before reaching the market. Furthermore, we offer this product at market leading price. PP high efficiency pleated cartridges etc. Filter media used in this type of cartridges are filter paper of various GSM with special treatment like Antistatic PTFE coating, Water / Oil repellence coating. 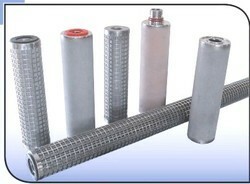 S.S. Sintered type & Mesh type. Stainless steel filter cartridges are specially design where fabric & synthetic fiber media have limitation such as temp, solvent etc. These cartridges are made in S.S. 304, 316, & 316L grade. Type : Double open end / code 7 / 1” NPT or BSP threading. Size : 10”, 20”, 30”, & 40”.